Prepare yourself for a golf experience like no other in the Piedmont area. 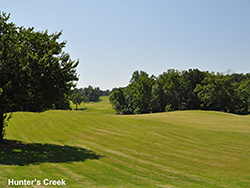 Hunter's Creek has 3 breathtaking 9-hole courses: Maple, Oak, and Willow. THE LINKS at Stoney Point’s stunning beauty, exceptional design and first class amenities create the perfect “golfers’ paradise.” Situated on beautiful Lake Greenwood in South Carolina, this Championship-style links course delivers an unparalleled lifestyle that’s truly one of a kind. The Davis Love, III designer course was named in honor of the area's Revolutionary War heritage and is a traditional course that is designed to take full advantage of the land's spectacular natural features, with a memorable start and finish not soon to be forgotten. The Greenwood Country Club has one of the finest 18-hole golf courses in the state, complete with a driving range and putting greens. PGA golf professionals are available for private lessons and clinics. 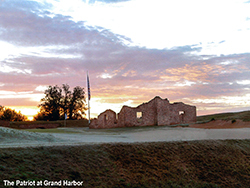 At The Golf Club at Star Fort, the rich history of the region, as well as the traditions of golf come together in an affordable family-friendly golf club. The 18 Hole "Par 3" course at the Par 3 West facility in Greenwood, South Carolina features all the hallmarks of South Carolina golf. Par 3 course opened in 2000. Rolling S Golf Club is a semi-private golfing facility in Waterloo, SC. The Rolling S, services both Laurens and Greenwood Counties. Amenities afforded the clubs members are; a fully stocked pro shop, private TV/Lounge, and a Grandview Grill which overlooks the course through a large picture window. This nine-hole course has sloped fairways and small, fast greens.